A pointed toe shoes with rhinestone buckle on single vamp strap. Our most popular style for competitors. 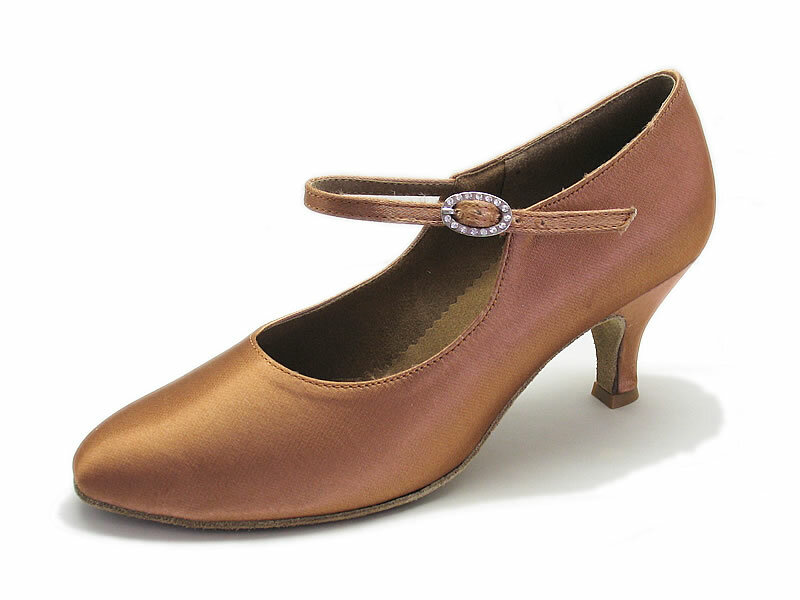 Picture shows 2 1/2"s heel in copper satin(DB3).